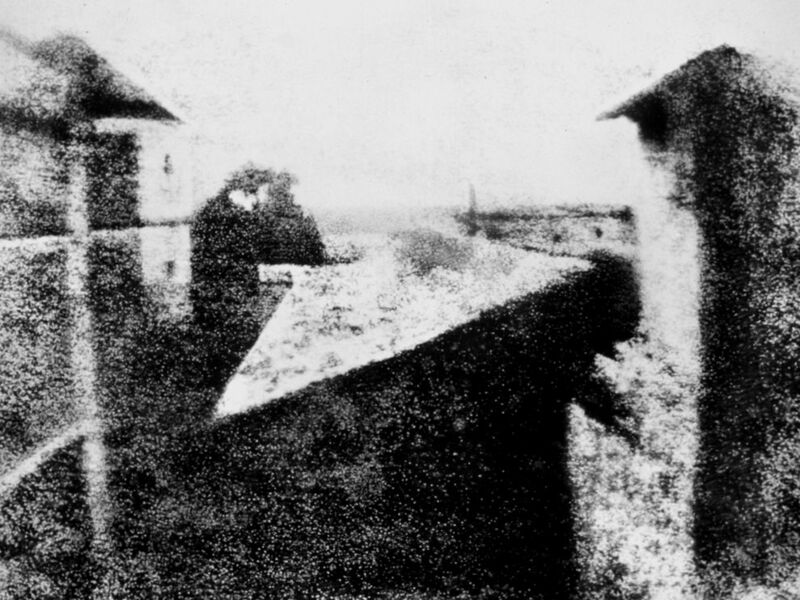 This is it: the oldest surviving photograph in the world. It was taken by the delightfully alliterative Nicéphore Niépce in 1826, in the Burgundy region of France. It’s called View from the Window at Le Gras. The exposure time is believed to have been hours, or even days. Rorschach test time! I see a Star Destroyer! I am nerd. That is all. Wow, 1826! And they had absolutely no idea of how huge it would become. But on a more serious note, I know exactly what you mean. He’d be absolutely astounded. I wish I could go back and show Newton the Hubble images.